David Gardner travels around Texas handing out thumb drives listing some of the most sensitive possible statistics about the performance of the state’s universities: how much they really cost, how many of their students actually get degrees, how much money their graduates make, and whether those incomes justify the cost of their tuition. These are the kinds of facts and figures students and their families increasingly seek out before investing in the rising price of a college education. It’s also some of the exact same information that has been the subject of a years-long push and pull in Washington. Some of the rest is even more detailed than envisioned by a national college ratings system proposed by the Obama administration that’s been delayed and watered down in the face of opposition from higher-education groups and threatened by Republicans in Congress. 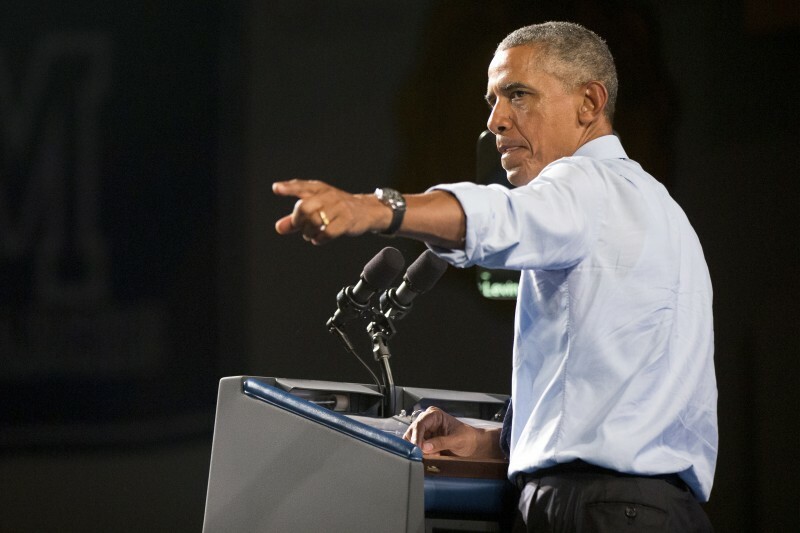 With the apparent philosophy that something is better than nothing, President Barack Obama on Saturday unveiled a “College Scorecard,” which includes such things as the earnings of graduates from particular institutions but is based on limited data. Those average salaries of graduates, for instance, are calculated using the tax returns of only federal financial-aid recipients, since the federal government has no way to track anybody else. But while the much more extensive national college ratings system the White House originally wanted remains mired in Washington vitriol and politics, the same and even better information about colleges and universities is already widely — if almost without notice — being made available by states including Texas. Thirty-two states require their universities and colleges to provide this data. Many have begun to make it freely available to consumers on everything from thumb drives to smartphone apps — some, ironically, paying for the process with part of the $9 billion in federal stimulus money they got during the three years following the economic downturn. “Because of the push on accountability, and issues with debt and other things, [states] are developing reporting systems that make sense rather than waiting for someone to tell them to do it,” said Gardner, deputy commissioner for academic planning and policy at the Texas Higher Education Coordinating Board, which provides the information on at least three different websites and is building an app for it. The state action is being driven by more than Washington inertia. Many states have changed the way they subsidize their public universities and colleges, doling out funding based on graduation rates and other targets rather than solely on enrollment. That requires collecting much more information about the institutions’ success at meeting goals including keeping student debt low and training graduates for jobs, information most of those states also now provide directly to the public. Plus, since states operate their own public universities, they don’t have to jump through hoops to get the data in the way the federal government does. They can just tell the universities to hand it over. Even some private universities and colleges are voluntarily giving data to their states, since they know prospective students can get it from the public institutions they compete with. At least one state, Virginia, requires its private universities to provide consumer information in order for their students to remain eligible for state financial aid. Among other things, states including Texas offer so-called “gainful employment” figures, which measure whether graduates’ incomes in particular fields are enough to repay the debt they rack up to pay for their degrees. When the federal government set out to do the same thing, the principal association of for-profit colleges sued to stop it, and while the government has prevailed in court, the colleges promise to appeal. The surprises some four-year institutions might be sensitive about include this: Students with associates’ degrees in some fields from community colleges make more money than their counterparts with bachelors’ degrees from four-year colleges and universities, even 10 years after graduation. Texas, which has been in the vanguard of this work, also tracks individual students through its education system to accurately measure their success in a process known as “student-unit recordkeeping.” The federal government has been blocked from doing this after lobbying of Congress by groups mainly representing private, nonprofit colleges and universities, some of which fear being put at a disadvantage if precise measures of their graduation rates are made public. The congressional ban on student-unit recordkeeping, which legislators including Republican Senator and presidential hopeful Marco Rubio have now proposed repealing, is one reason the federal government “is failing to produce the types of information that contemporary students, policymakers, and institutions need to make informed decisions,” the nonpartisan Institute for Higher Education Policy concluded in September. That’s because the feds are forced to estimate such things as graduation rates using far less exact computations than they could by following individual students through the process. But not only is Texas using it; it and other states including Arkansas, Colorado, Florida, Tennessee, Virginia, and Washington are going far beyond what the new College Scorecard does, by publicly reporting such things as salaries of graduates, by major and institution, culled from records listing the earnings of employees whose companies pay for state unemployment insurance. And while universities and colleges complain these figures are also unreliable, since those records don’t track students who move out of state or who work for the government, states are now reaching across borders to improve their accuracy. Related: The $150 million question—what does federal regulation really cost colleges? Connecticut, Hawaii, Indiana, Kentucky, Massachusetts, Minnesota, Missouri, Oregon, Rhode Island, Texas, and Utah are working together to measure something else the federal government doesn’t: what exactly university graduates have learned, in something called the Multi-State Collaborative to Advance Learning Outcomes Assessment. And while the main push is to help universities identify and correct their weaknesses, “The other side is the consumer side, and can this information help a consumer, and I think there is potential for that,” said Sandra Bailey, director of assessment at the Oregon Institute of Technology, who is involved in the project. 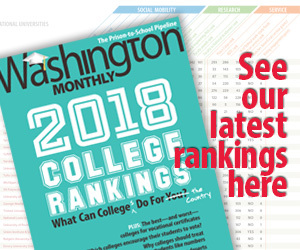 Even as the fight rages on in Washington over rating colleges, there’s been little controversy in the states already providing the same information, and more. “Many states have been doing this for a decade, and nobody’s died,” Schneider said wryly. That’s precisely because, among other reasons, they’ve been at this for a while. States including Texas also give institutions the chance to explain variations in the figures they report — that, at one school, for example, a hurricane affected enrollment. The federal government, meanwhile, is operating separately from the states in its long-running quest to provide consumer data, and is compiling its own information for the Scorecard and other tools using different, and often less dependable, sources. “The federal government can learn some lessons from states in terms of how best to provide data and what data to make available,” said Robert Kelchen, an assistant professor of higher education at Seton Hall University who studies college accountability. That doesn’t mean the information is always easy to find and understand. While some states illustrate the figures they collect with glitzy graphics, others put them onto websites that are dense and unreadable. One of the websites in Texas that provides statistics has so many of them that officials are working on ways to scale it back. This story was produced byÂ The Hechinger Report, a nonprofit, independent news organization focused onÂ inequality and innovation in education. Read more about higher education. Jon Marcus is a higher education editor at the Hechinger Report, a nonprofit, nonpartisan education news outlet based at Teachers College, Columbia University.